For start-ups, it’s quite difficult to take their business site at Google’s top listings. Although, there are large-scale SEO techniques to get high ranking but a quality link can give more strong base to site. A link building is one of the effective tricks to gather high traffic sales. But at the same time, it can also harm your traffic if there is any broken link. It’s important to use effective link building methods which work reliably for every site. If your website content is included with detailed information and engaging stories, then it helps you to get attracted with high range visitors. Due to availability of heavy traffic on site, one will gain strong Backlinks to a site. A guest posting allows the users to add quality Backlinks to site from other websites. It is an effective link building tool used by the blogger to write quality posts which further adds natural links to site. To have good results, it’s necessary to avoid writing duplicate blogging posts. 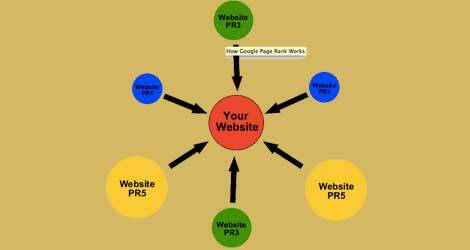 An addition of press release in a site will help you in getting the quality Backlinks. To develop the best press release, it’s necessary to make attractive titles to get high-range of interests. It is a great idea to work on social bookmarking and social networking sites to get quality links to a site. On adding your blogs to these sites will help you in building the strong social network. Most of the websites are keep on changing the URLs as well as domain names which lead to the formation of plenty broken links. With the help of broken link building technique, one can replace these links with the links that come to your blog post. It really takes great time as well as efforts to obtain high-quality links for the improvement of the Backlink profile. To enhance your profile for better, you can also take help from the team of SEO experts at IntegraWeb.